"Whispering Pines" -- 24" x 30", acrylic.
" Tenacity"-- 30" x 24", acrylic. 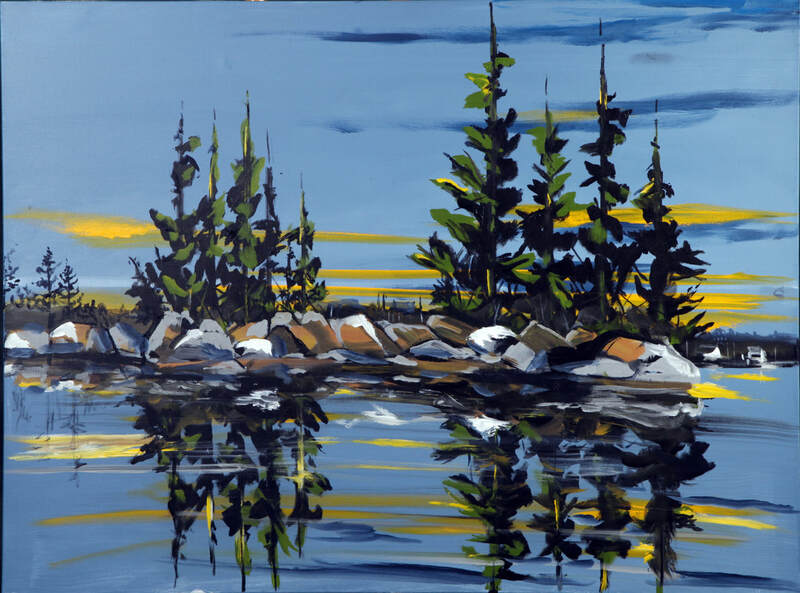 "Rideau Lakes" -- 30"x 40", acrylic, SOLD. "Mountain Stream"-- 36" x 48", acrylic. "Winter Evening"-- 24" x 36", acrylic. "Spring Run"-- 36" x 48", acrylic. 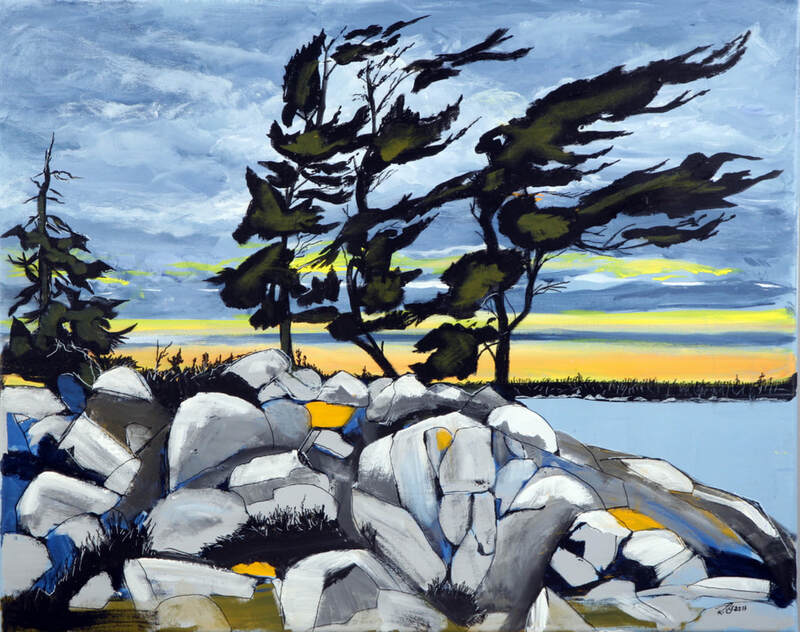 "Georgian Bay Dusk" -- 24" x 36", acrylic, SOLD.